Writer/Director/Comedian Demetri Martin stars alongside Academy Award winner Kevin Kline in this comedic and heartfelt tale about a father and son coming to terms with love, loss and everything in between. 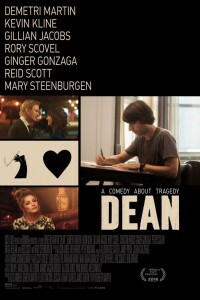 Dean (Demetri Martin) is an illustrator whose unwillingness to deal with the recent death of his mother means escaping his hometown of New York for an interview with an ad agency in Los Angeles. His retired engineer dad Robert (Kevin Kline) takes a more regimented approach to grief, including putting the family home up for sale. Both father and son set out on their own paths to find a new normal as unexpected circumstances and potential new love interests threaten to thwart all plans.